Jeremiah Justice is like every other kid, except for the tracheostomy tube in his neck that helps him breathe. 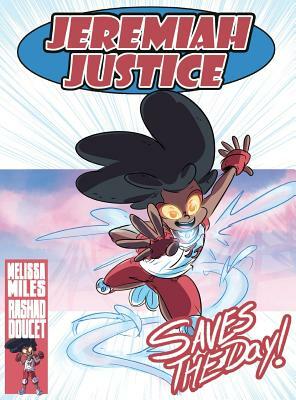 At least, that's what he thinks, until the day he discovers his superpower--the ability to shoot a tornado blast from his tracheostomy Jeremiah Justice names his power "Super Tornado Blaster", and practices using it in his home and neighborhood. Will he be able to summon up the courage and control the Super Tornado Blaster to defeat the notorious super villain, Mr. Menace?